Latest collection! 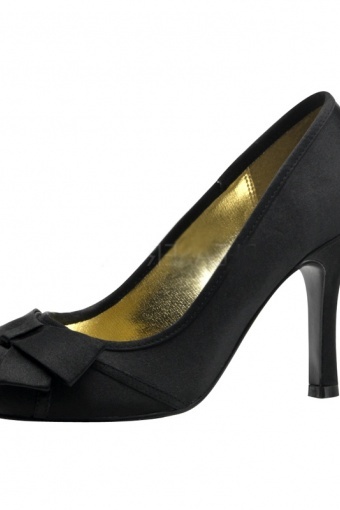 Jackie Black Satin bow pumps from Pinup Couture - With great pleasure we present Pinup Couture shoes! Partnering up with the same company that brought you the fabulous Bordello line, we've worked to design a line of beautiful and affordable vintage-inspired shoes that will live in perfect harmony with the rest of your PUG wardrobe. The "Jackie" is a perfect dressy basic in black satin with a bow detail at the toe and a 3.5" heel height. Super Passform, schnelle Lieferung! Alles top! mooie verpakking! gisteren alles gepast en het zit perfect! Kan niet wachten om mijn vriend te verrassen :-) Alvast een hele happy klant!